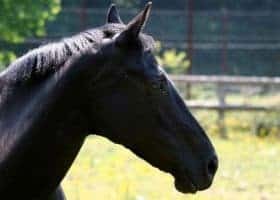 What are the symptoms horse owners need to recognize when equine herpes myeloencephalopathy (EHM) strikes? An epidemiological investigation continues nationally after a Colorado kill pen horse exposed over 200 horses to a lethal disease. 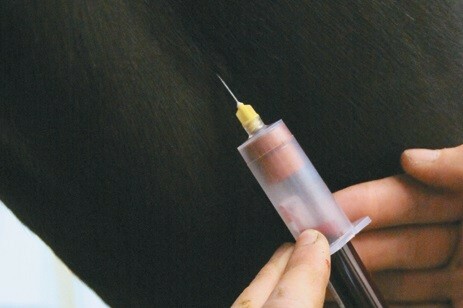 Consequently, the index horse tested positive for Equine Infectious Anemia (EIA) almost a month ago. 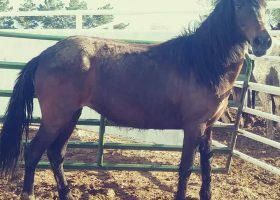 Later, the Weld County horse was euthanized. It was located at Fabrizius Livestock, which the state quarantined. The horses at the index premises tested negative for EIA last week. The state confirms they will retest the horses for EIA sometime around October 19. Another two properties related to the kill pen facility, which is operated by Jason Fabrizius, are under hold orders. 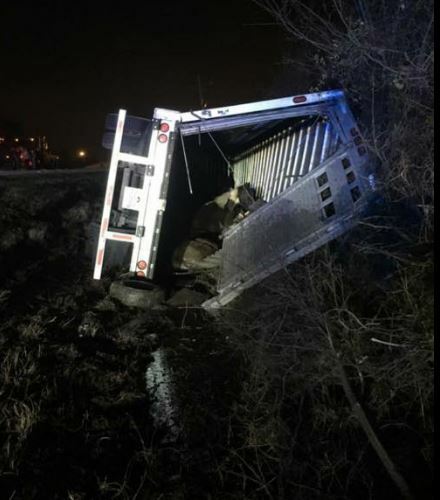 In Colorado, officials have found a total of 128 exposed horses in 20 counties. They are Adams, Arapahoe, Boulder, Crowley, Delta, Douglas, Eagle, Elbert, El Paso, Fremont, Gilpin, Gunnison, Huerfano, Jefferson, Larimer, Mesa, Moffat, Montrose, Phillips, and Weld Counties. Ten other states have located a total of 64 EIA exposed horses. Those states are Kentucky, Louisiana, Maine, Missouri, Nebraska, Nevada, Oklahoma, Texas, and Wyoming. 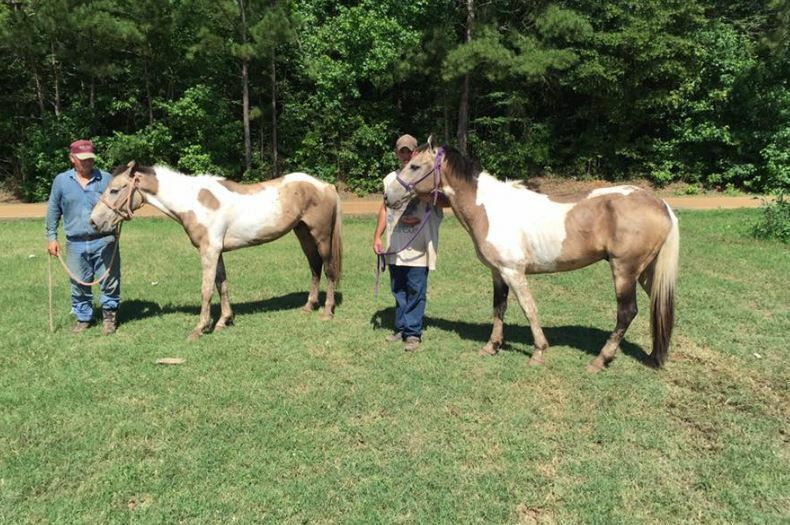 Stay with us as we continue following this developing horse health story. Delaware Ag officials confirm a veterinarian euthanized a mini-donkey in Sussex County due to rabies. The 8-year old animal was unable to rise last week after acting abnormally, according to the state’s department of agriculture. Rabies is a zoonotic disease which means the infection can spread directly or indirectly from animals to humans. 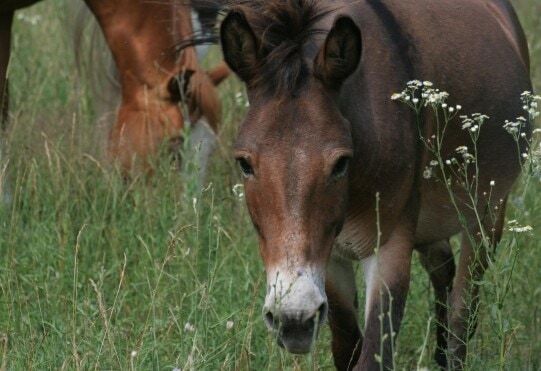 The incidence of rabies in equines is reportedly low. Although, the virus is transmitted by a bite from an infected animal. It can also enter through an open wound or contact with a mucous membrane, like the eyes of an infected animal. 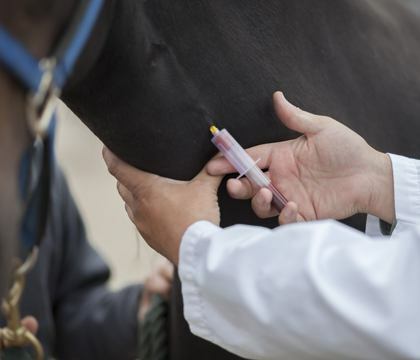 Clinical signs of rabies in an equine may seem confusing, according to veterinarians. It can look like colic or a neurologic issue. In unvaccinated equids, rabies progresses rapidly after onset with death 5 to 7 days after the beginning of clinical symptoms. Those symptoms may include fever, blindness, hypersensitivity, aggression, depression, self-mutilation, lameness, paralysis, and sudden death. However, once transmitted, it is fatal for the horse, donkey or mule since there is no cure. That’s why it is important to prevent rabies with an annual vaccination. 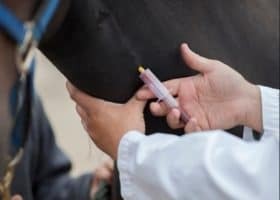 Talk to your veterinarian for more information since there are different vaccine recommendations based on your horse’s needs. 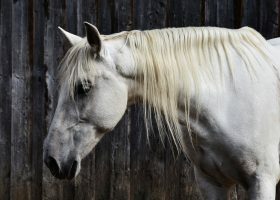 Virginia’s state veterinarian quarantined a private Loudoun County horse farm for Equine Herpes Myeloencephalopathy (EHM). 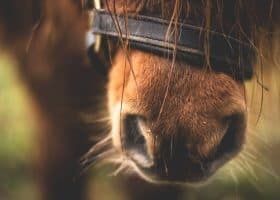 Initially, a hold order was placed on the farm because a horse originating from the farm tested positive for EHM before being quarantined in Maryland. Officials state no horses have been on or off the farm in a month so there wasn’t exposure to horses outside the farm. 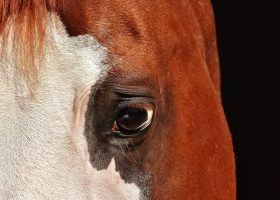 Virginia agriculture officials confirm a Quarter Horse stallion is positive with Equine Herpesvirus Myeloencephalopathy (EHM) or the neurological form of EHV-1. The horse resides at a small private farm in Frederick County. 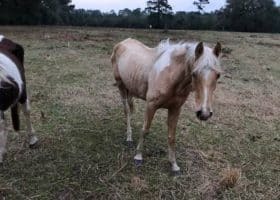 The Virginia Department of Agriculture confirms there was no exposure to horses off the farm since the stallion hasn’t left the property in several months. The state quarantined the farm and the horses stabled on the property. Maryland Animal Health officials confirm a Warmblood gelding is positive with Equine Herpesvirus Myeloencephalopathy (EHM). It is the neurologic strain of the equine herpesvirus (EHV-1). 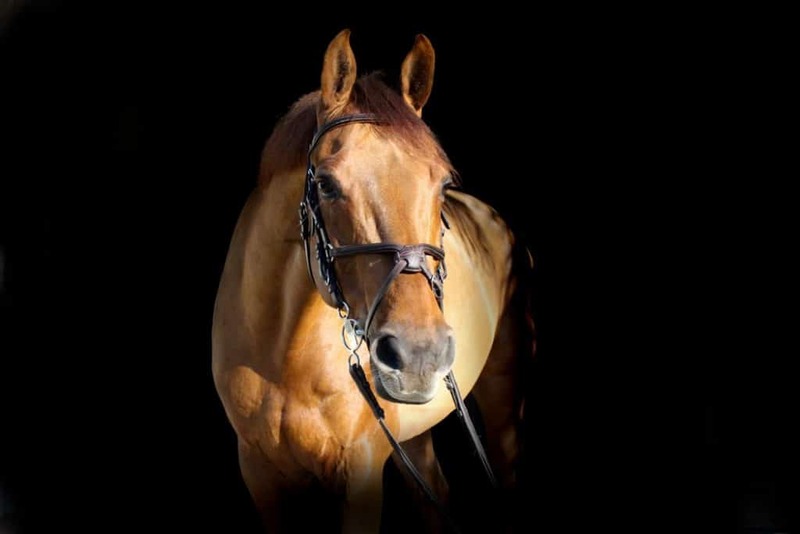 A veterinarian treated the horse as an outpatient on Friday, September 21st, after it became neurologic. It happened at a what the state describes as a “private veterinary clinic” in Loudoun County, Virginia. Afterward, they returned the horse to its private farm in Montgomery County, MD. 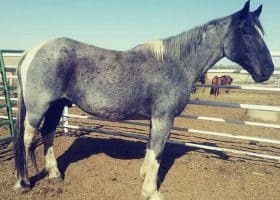 Horses infected with the neurologic strain of EHV-1 show clinical signs that typically include mild incoordination, hind end weakness, and loss of bladder function. 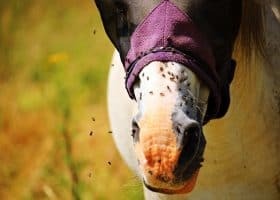 EHV is highly contagious to horses while it does not pose a threat to humans. State officials placed a hold order on the Maryland horse farm after isolating the index horse. Eighteen horses live on the property in four barns. 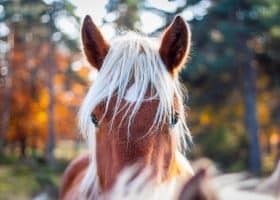 Previously, the horse lived with four other horses. Two other barns are more than 30 feet away from the exposed barn. Maryland Department of Agriculture staff and others are working to ensure strict isolation and biosecurity protocols are in place. Additionally, an epidemiological investigation is underway. 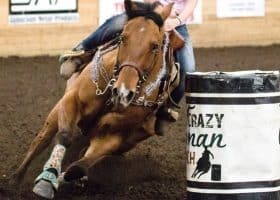 Veterinarians recommend limiting horse to horse contact and horse to human to horse contact when at horse shows, trail rides, and other public venues. The virus spreads readily through direct contact with infected materials. Hand soap, alcohol-based hand sanitizers, and sunlight neutralize the virus. For an in-depth look at EHV-1, click here.